Although counties do not carry out executions, in almost all states the decision to seek the death penalty is made by the county district attorney. A small number of counties are responsible for a disproportionate number of the executions in the United States. DPIC's Execution Database now has information on the original county for each case. Search results can be sorted by county. 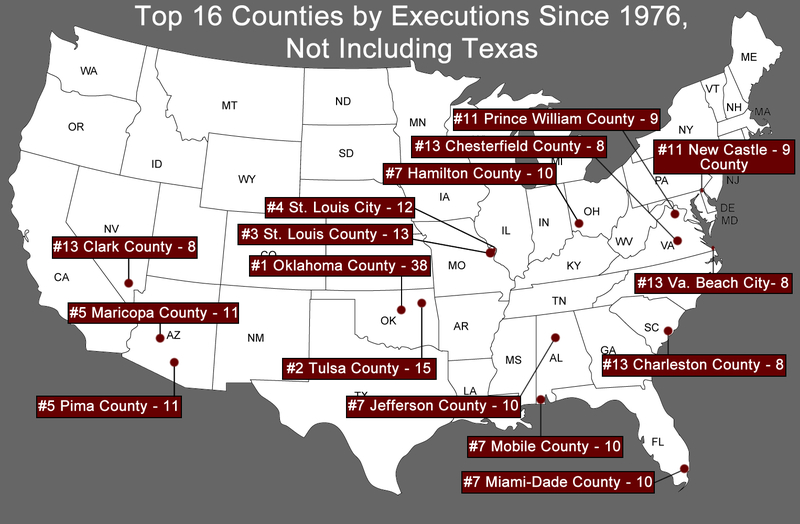 These 15 counties accounted for 30% of the executions in the U.S. between 1976 and January 1, 2013. They represent fewer than one-half of one percent of the total number of counties in the country, and fewer than 1% of the total number of counties in states with the death penalty. 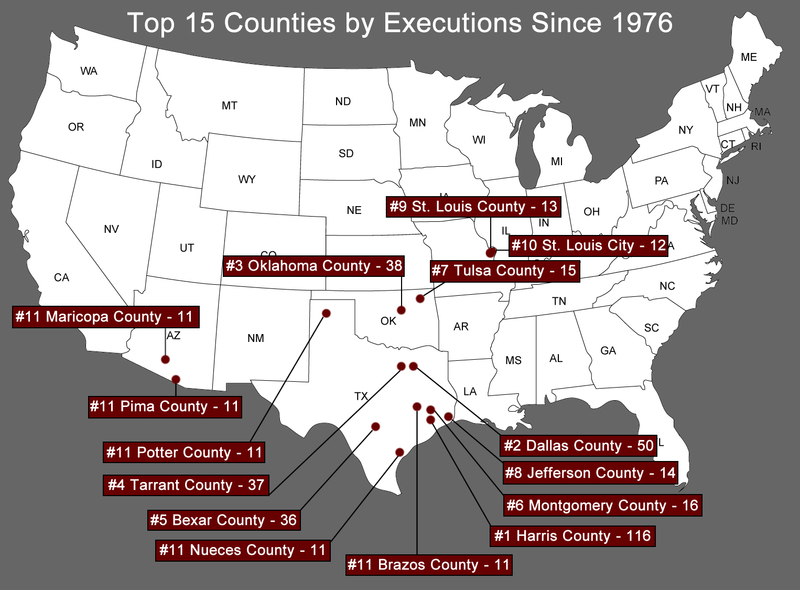 The following 16 counties accounted for 14% (191 executions) of the executions in the U.S. between 1976 and January 1, 2013. They represent one-half of one percent of the total number of counties in the country, and fewer than 1% of the total number of counties in states with the death penalty. Execution data taken from DPIC's Execution Database. Thanks to Professor Frank Baumgartner at University of North Carolina for county information.